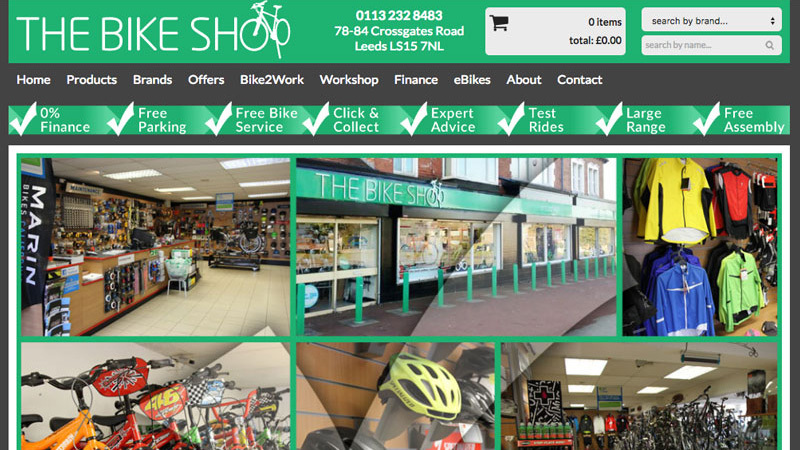 Leeds Bike Shop is a long time iBikeshop client who approached us initially to update and re-theme their iBikeshop website, then to manage it on a monthly contract. Later we were charged with managing social media too. Leeds Bike is a traditional bike shop serving a cross-section of cyclists, our brief was to update the theme but retain a traditional feel, with the emphasis on the businesses family roots. We manage most aspects of the site, with regular homepage updates, additional pages as required and social network integration. We also produce and distribute newsletters for the shop.